When are you most vulnerable in your home? I would submit the answer to that question is simple: it’s when you are in the shower. 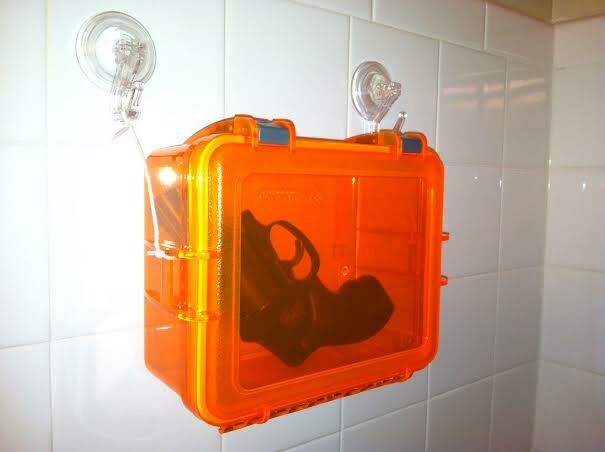 Think about it, even if you carry a gun while in your home it’s probably not with you in the shower. The shower creates quite a bit of noise when it’s on, thus impairing your situational awareness. Additionally you are naked, not exactly the best attire to fend off an attacker. Think I’m being over the top? Check out these recent headlines. Richard J. Frati, 20, of 82A Main St., faces charges of home invasion/burglary and simple assault after he allegedly surprised a 19-year-old male resident by busting the glass shower door, dragging him out through the broken glass and assaulting him. The woman has bumps, bruises and a busted lip from her attack. “25 years, we’ve never had problems like this, no one has had problems like this,” said the woman. So now on top of adding extra locks, security lights and a bull dog she’s going to add more protection. “I will have a gun and I will use the gun,” said the woman. But the house’s resident was in the shower, and when Winston found him, the man stepped out and put up a fight, police said. Winston allegedly hit him several times on the head and body with the metal bar. The mom said the suspect kicked in the front door to burglarize their home and ended up getting in the shower with her daughter.She managed to fight him off, but told police the man said he had a gun. The girl’s mother said the burglar ran off with the family’s laptop. The box had to be water tight, while I did not plan on placing the container directly in the path of the water the moisture in the air definitely would not mix well with a gun. The box needed to have a hinged door so that I could pop the top and have easy access to the gun without the door falling to the floor. I didn’t want to spend more than $20 for my creation (gun not included). I would be using a “spare” gun, something I wouldn’t have to take in and out of the shower with me every single time. Of course the gun could be removed and locked up upon leaving the home. I wanted something that was solid, nothing that would swing around or be prone to moving if I were reaching for it in a hurry (and with soapy hands). I braved the crowds at Walmart to find a box that would suit my needs. 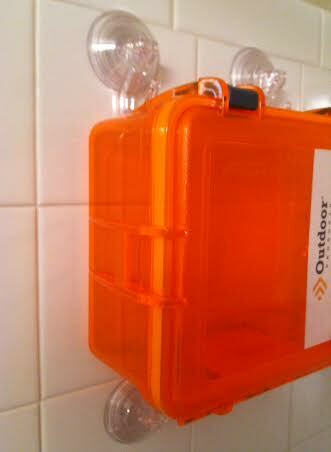 In the outdoor section I was able to pick up a Large Outdoor Watertight Box for less than $10. 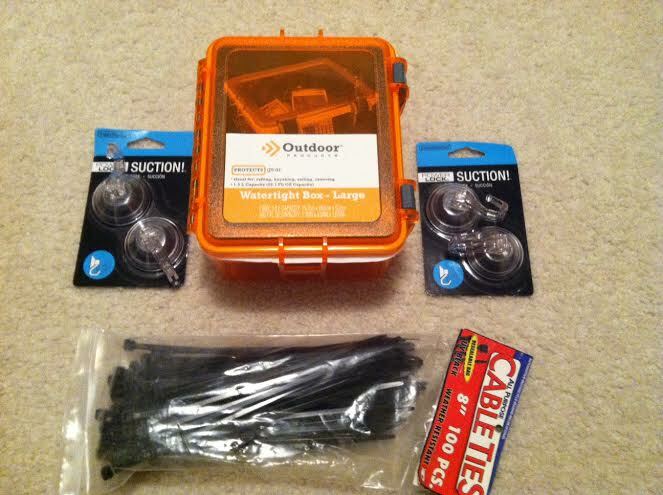 I then made my way over to the bathroom section and found a few suction cups for around $2 each. The Zip Ties were already in my garage and I should mention that I did not end up using them in the finished product. 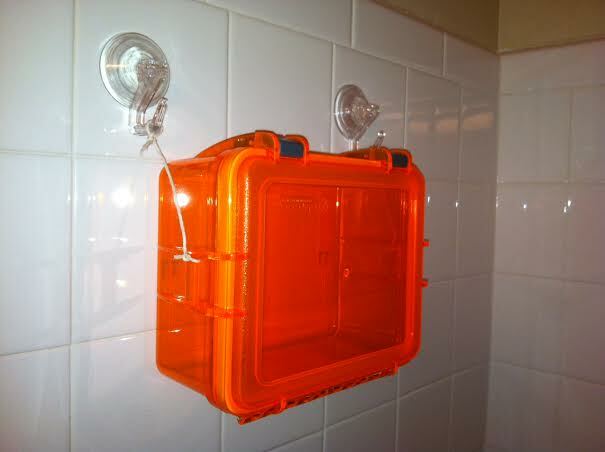 I then test fitted the box to the back of my shower wall, the idea was to use the zip ties in conjunction with the suction cups. I quickly realized that was not going to work. 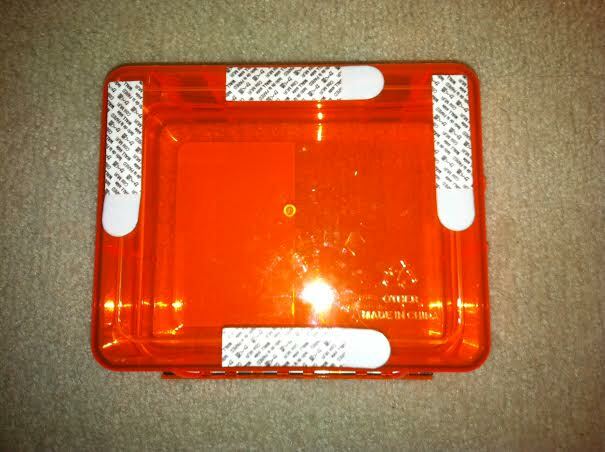 Zip ties discarded, I decided to use some of the double sided strips from command hooks to mount my box to the wall. 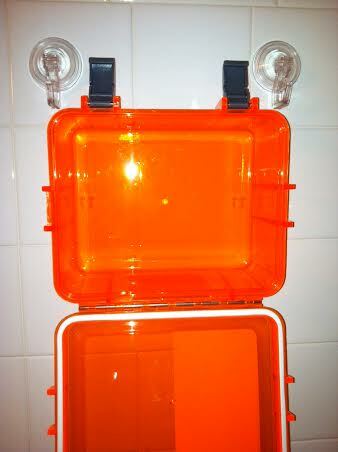 I did not use the water resistant strips (didn’t have any at home) but could always swap them out if need be. Since the box will not be getting wet hopefully it will hold up to the moisture in the air. The box mounted solidly to the wall (which I made sure to clean beforehand). As you can see I mounted two of the suction cup hooks up near the top of the box, these would be my safety tie down points. Safety tie downs are a byproduct of training, where no mount is trusted and thus the object is tied down “just in case.” In this instance I wouldn’t want a box with a gun in it falling free and coming down on top of my foot. Here is a picture of the box with a revolver inside. 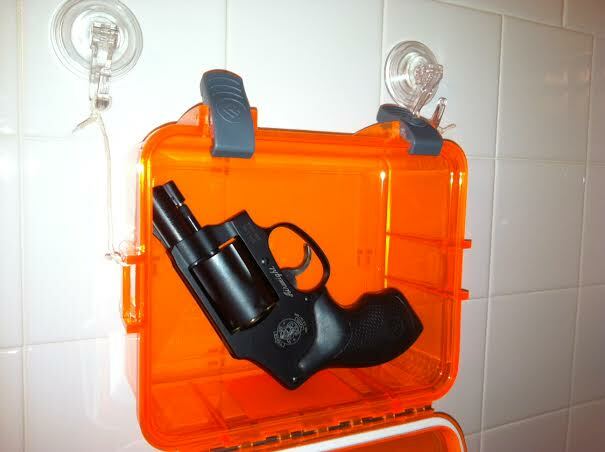 I have the gun pointed up so it won’t flag anyone in the bathroom, additionally it makes it easy to grab once the box is opened. I like the idea of a revolver because of the simplistic design, and it’s a breeze to clean. If you are wondering how easy it is to pop the locks on the top of the box it’s really not that difficult at all, you can access the gun within a few seconds. Here is the finished product.